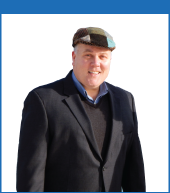 Rich Deering is a Maine native who has worked in sales and marketing as well as residential camping for over twenty years. With a master's degree in counseling from the University of Southern Maine, Rich knows how to help people understand the core needs of their real estate process and facilitates a marketing effort that creates a positive result. Building relationships and enhancing his passion for working with others, Rich is actively involved with Maine Summer Camps, his alma mater, Colby College, and the state of Maine tourism. He loves to bike, hike and ski. Rich works with first-time, many second home buyers and seniors on the coastline and in Western Maine. An Associate Broker and member of the Greater Portland Board of Realtors, Maine Associations of Realtors, National Association of Realtors, Rich holds designations as an Accredited Buyer Representative, Home Staging Specialist, Senior Real Estate Specialist and Distress Property Expert. Rich is also the Alumni and Community Director for Birch Rock Camp for boys in Waterford, Maine. Rich listed two homes for us and in each case, we had a great offer within a week. Rich also helped us find a great home in the perfect neighborhood for our family. We wanted a realtor who would guide us through the process and take on some of the more difficult tasks so we could get the deals closed and move on. Rich did all that and more. Richard had wonderful insights on my real estate needs, and provided excellent guidance on the entire home-buying experience. Richard brought me only to those listings that fit my criteria, and gave me sound advice about potential issues. Rich makes the whole selling and buying process a lot less stressful and a lot more enjoyable. He showed a level of patience that is quite unbelievable, we looked at nearly 3 dozen houses, yet he never gave up on helping us find the right one. His guidance through the selling process was realistic and sensible, and on both sides of the transaction, helped us set and maintain our priorities. Perhaps most importantly, he is willing to think outside the box a little, a skill that you want on your side in a competitive, tight market! I was a first time home buyer and Rich was incredibly helpful and patient. He took the time to get to know me and what I was looking for in my home search and he set up appointments to see homes at times that were convenient. Rich had time for my questions and made himself available. Rich always had a smile and a positive attitude. He took so much stress out of the process, and he helped me find and negotiate the pricing on my wonderful home. I will definitely recommend Rich! Our experience with Richard Deering as our realtor was an amazing one! We only had a short time to search and Rich was so helpful in finding houses for sale in areas we had in mind. He also booked the showings to work around our schedule, and because we lived far from areas we were looking to buy in, Rich booked multiple showings for us so that our commute was less often. He was excellent in communicating everything we needed to do, each step of the way! He made sure we had a good feeling about the house, and that we understood every aspect of the property which aided in our decision. We loved how much he cared about our journey buying a house and that he didn't rush the process, but rather he followed our timeline perfectly! We are so thankful for how smooth the process was, and that we had Rich to guide us! Rich has the "magic touch." Through careful listening and an extraordinary understanding of the Portland area real estate market, one year after he helped me find my dream home in record time, he worked the same magic for my parents--showing them several condos in one day, and having an offer in and accepted by the end of that day on the perfect home for them in Yarmouth. He has the highest ethical standards, treats everyone with dignity and respect and kindness. Our family ADORES him!!! "Rich is a true professional and gentlemen! He creatively sold our aging home for a respectful return and found us our dream house, negotiated a great price and facilitated the move in just two weeks. His superlative knowledge of the community, the other players involved in the process made our life transition experience a real joy for us." I recently purchased a beautiful condo in South Portland, Maine. When I started my on-line search, I was attracted to the RE/MAX Shoreline website, since it was really easy to navigate, and provided great information. When I was ready to view properties, I contacted the agency, and was very lucky to start working with my agent, Rich Deering. Rich helped me place an offer, and skillfully helped me navigate the whole process! He recommended a great Title Company, insurance agency, help with local utilities set-up, and helped me find a local contractor to do some projects. Rich is a long-standing Portland resident, and was able to provide great local information as well. I would highly recommend Rich, and the Remax Shoreline Agency for your real estate needs in the Portland area!